One often hears some variant of the phrase "speech never justifies violence". Morally, for some people, perhaps. Legally, not at all. A man carrying a baseball bat approaches you. When he is within a few feet of you, you draw a concealed firearm and shoot him dead. Was your action legally justified? Unless the man exhibited behavior that demonstrated an imminent threat to use the bat against you, absolutely not. A man carrying a baseball bat approaches you. When he is twenty feet away, he says "I'm going to bash your brains out." When he is within a few feet of you, you draw a concealed firearm and shoot him dead. Was your action legally justified? Damn right. What's the difference? His speech. Ability: the physical ability to cause great bodily harm, permanent injury, or death. A gun, knife, or club certainly qualifies, as would significant disparity of force (the potential attacker being larger, younger, fitter, or a group of people). Opportunity: the opportunity to apply that ability. A person with a club or knife who is 100 yards away has ability, but not opportunity. Likewise if there were a 20' fence between the attacker and potential victim. Jeopardy: behavior which a reasonable person would find imminently threatening. Brandishing a bat (when not playing a game in which the bat is used) might qualify depending upon circumstances. Repeated stabbing motions with a knife upon approach might qualify. A verbal threat to use force against you definitely qualifies. In addition, the potential victim must be innocent and any threat must be imminent. A statement that "I'm going to get a gun and shoot you" is clearly not an imminent threat, and the requirement to leave and obtain the ability also demonstrates that the threat is not imminent. The similar "I'm going to shoot you" from a person wearing a gun in a holster or holding one in their hand is clearly imminent. In the above two scenarios, ability and opportunity are present via the baseball bat and the proximity of the potential attacker. Only in the second scenario is the imminent threat present. The only difference in the scenarios is the speech. Contrived? Perhaps. But also a clear exception to the idea that it's never justified to respond to speech with violence. We, the people of the State of Florida in Convention assembled, do solemnly ordain, publish and declare: That the State of Florida hereby withdraws herself from the Confederacy of States existing under the name of the United States of America, and from the existing Government of said States: and that all political connection between her and the Government of said States ought to be and the same is hereby totally annulled, and said union of States dissolved: and the State of Florida is hereby declared a Sovereign and Independent Nation: and that all ordinances heretofore adopted in so far as they create or recognize said Union, are rescinded: and all laws or parts of laws in force in this State, in so far as they recognize or assent to said Union be and they are hereby repealed. Florida's Declaration of Causes remained unpublished, and is undated. It was authorized on 21 January, 1861 but the committee was discharged on 1 March without the document being accepted. Finally, they raise a new issue: that the North isn't paying its fair share. Ironic, when you consider that, in 2014, Florida received between $4 and $5 from the federal government for every $1 in taxes they send and gets almost exactly 1/3 of its general funding from the federal government. Collectively, Florida's arguments against the Union are more expansive than some other traitor states, but slavery, racism, economic opportunism, and opposition to states' rights fit in well with the rest. According to Wikipedia, "An official secession convention met in South Carolina following the November 1860 election of Abraham Lincoln". The convention issued the above "ordinance of secession" on 20 December, 1860, and ordered seven members to draft a separate statement, which was adopted by the convention on Christmas Eve as "The Declaration of the Immediate Causes Which Induce and Justify the Secession of South Carolina from the Federal Union" (hereinafter "The Declaration"). Regardless of questions of Constitutionality, South Carolina's Declaration makes it quite clear that slavery is the reason for their secession. 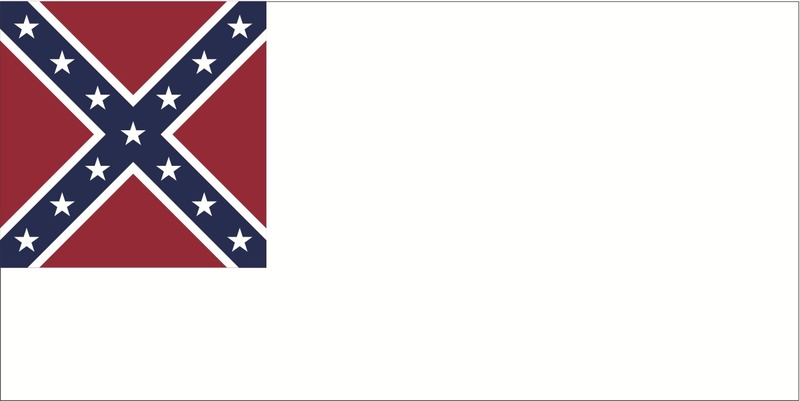 over the inferior or colored race"
The states of the Confederacy (the "CSA") declared their secession from the United States (the "Union") in a collection of documents which are called the Ordinances of Secession. Several of the CSA also issued "Declarations of Causes" which provide supplementary information. 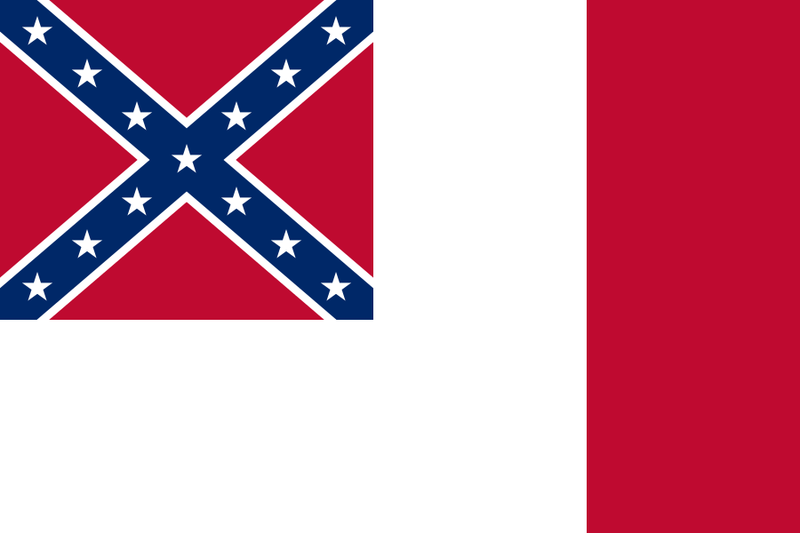 For those who haven't kept track, the eleven states of the CSA were: South Carolina, Mississippi, Florida, Alabama, Georgia, Louisiana, Texas, Virginia, Arkansas, Tennessee, and North Carolina. They formed a self-proclaimed nation in 1861 after the election of Republican Abraham Lincoln and fought the Union until 1865, when they were defeated. 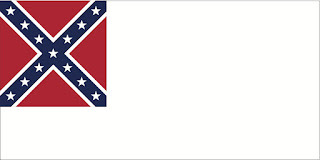 The last four states listed (Virginia, Arkansas, Tennessee, and North Carolina) did not declare their secession until after the attack of Fort Sumter by the other seven secessionist states. No foreign government ever officially recognized the CSA as an independent country. According to US precedent (notably SCOTUS Texas v. White), unilateral secession is an impossibility because the Constitution creates an "indestructible" union: the Articles of Confederation call the Union "perpetual" and the US Constitution created a "more perfect union". Precedent leaves open the possibility of successful rebellion (as the CSA did not achieve) or an Act of Congress permitting secession. Meaning that that vast bulk of Confederate participants in the Civil War were granted a pardon for Treason. Why is that significant? One word: Burdick. OK, three words: Burdick v. US. This brings us to the differences between legislative immunity and a pardon. They are substantial. The latter carries an imputation of guilt; acceptance a confession of it. 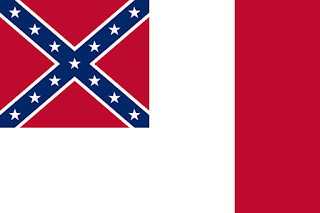 Thus, any member of the Confederacy (in particular any member of the Confederate Army or Navy) who accepted their pardon and was not tried for treason confessed to the crime of treason against the Union. Being excluded from the provisions of amnesty & pardon contained in the proclamation of the 29th Ulto; I hereby apply for the benefits, & full restoration of all rights & privileges extended to those included in its terms. I graduated at the Mil. Academy at West Point in June 1829. Resigned from the U.S. Army April '61. Was a General in the Confederate Army, & included in the surrender of the Army of N. Va. 9 April '65. Lee signed an Amnesty Oath on 2 October 1865, complying fully with Johnson's general pardon proclamation. But Lee was never pardoned while alive, and President Ford signed a joint congressional resolution making the pardon effective 13 June 1965. And thus, 110 years after the end of the Civil War and 105 years after his death, General Robert E. Lee confessed to treason against the United States.